Located in Florence, Parkside at Anthem at Merrill Ranch is a community designed to provide residents with affordable new homes for sale and abundant recreation. Explore the recreation center's amenities, including a splash water park, indoor rock climbing wall, indoor basketball courts, lighted tennis courts, and softball stadium. Families with children will appreciate the nearby K-8 school. 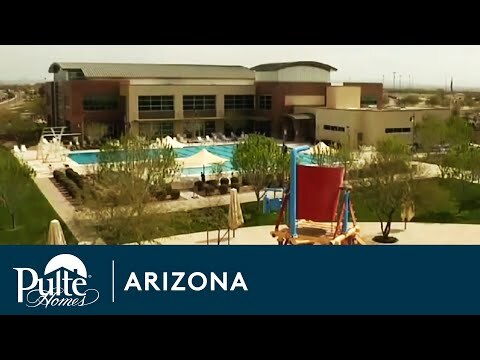 The life you want to live is waiting for you at Parkside at Anthem at Merrill Ranch. Explore this community and see for yourself. The one-story Desert Spoon features a café for casual dining, an open gathering room, and the ability to add a den. The Senita features a large Owner’s Suite and roomy walk-in closet. Upgrade to a glass walk-in shower for the ultimate retreat. The Creosote features a charming café, private bedroom living space, a den, and open gathering room with a modern kitchen design. The Arroyo’s open concept design features a spacious kitchen overlooking the gathering room, perfect for entertaining friends and family. The Cliff features a spacious gathering room connected to the kitchen and café, creating a warm and welcoming feel. The Sumac’s gourmet kitchen opens to an expansive two-story gathering room and features an optional suite perfect for a guest room. The spacious 3-bedroom Plateau features a private courtyard entrance, quiet den, central kitchen, and luxurious Owner's Suite. The Butte is ideal for entertaining, with an open island kitchen overlooking the great room, plus oversized pantry, and both a casual and formal dining area.